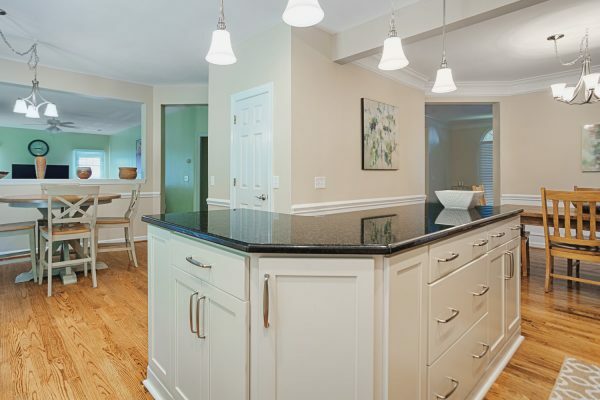 This kitchen remodel is a good example of a great home with a kitchen stuck in the 90s. The owners wanted a more modern, updated kitchen that fit their changing lifestyle, including opening to the dining room for entertaining. This kitchen remodeling project involved a floor-to-ceiling remodel. We replaced the floor tiles with a hardwood that fit with the rest of the house. 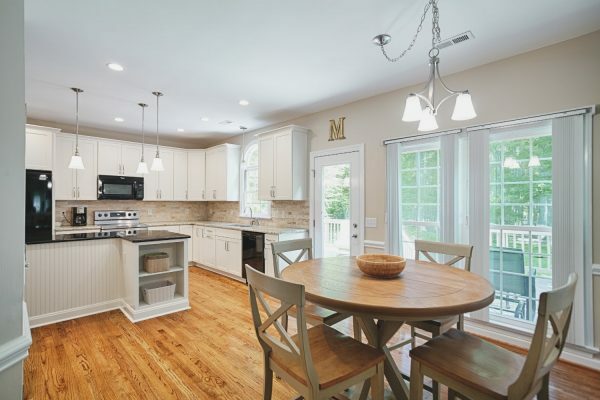 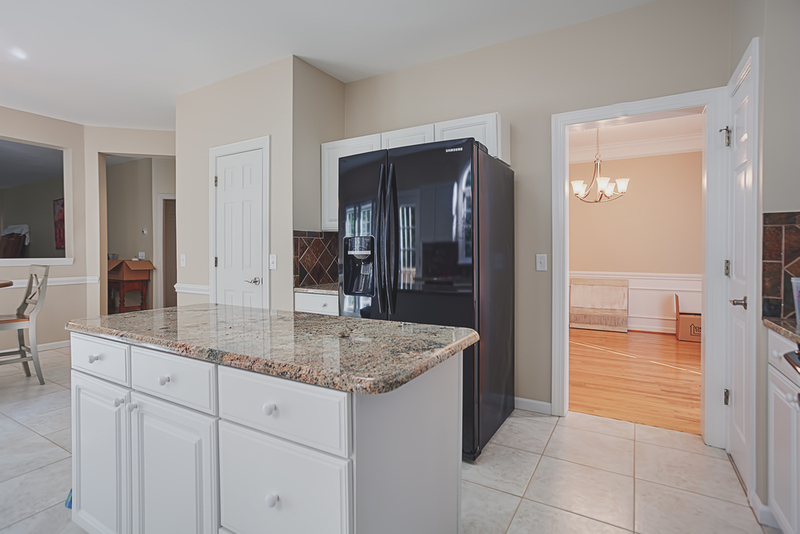 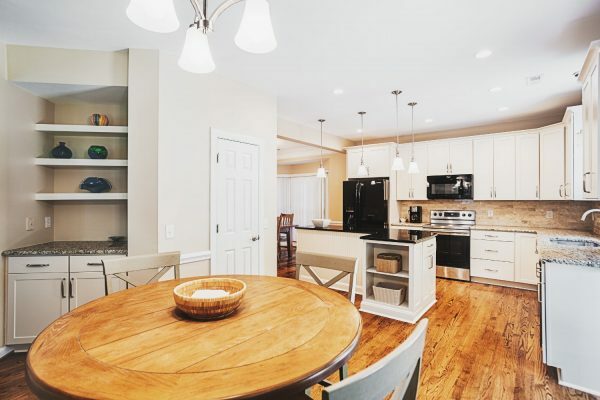 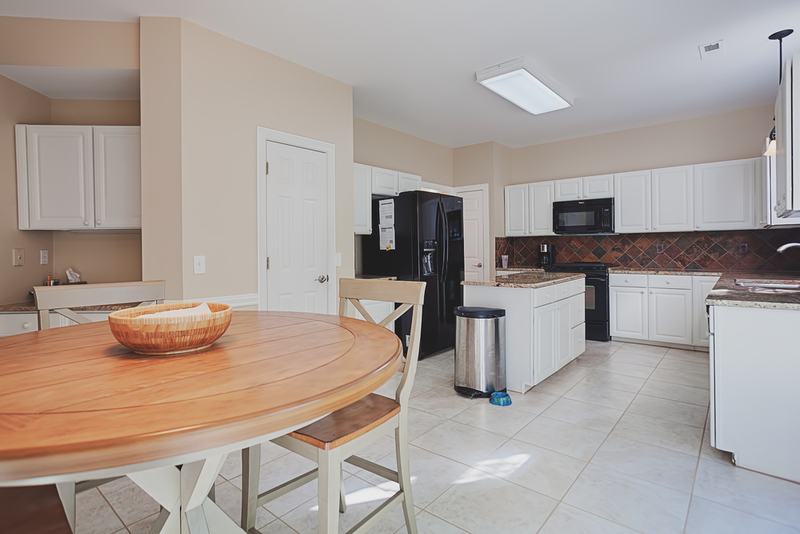 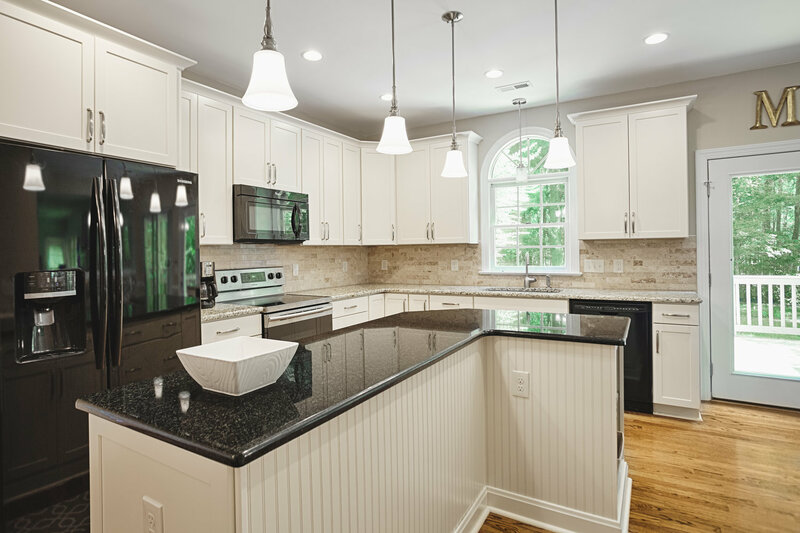 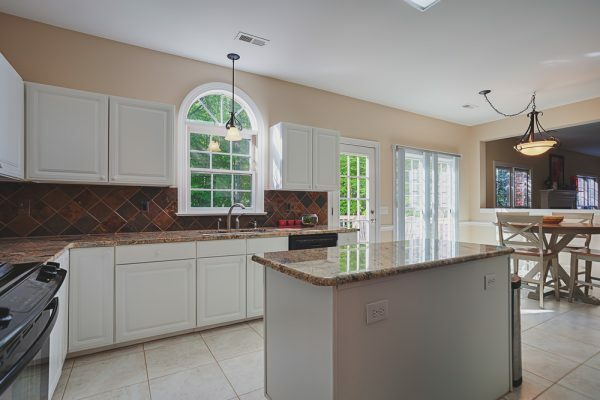 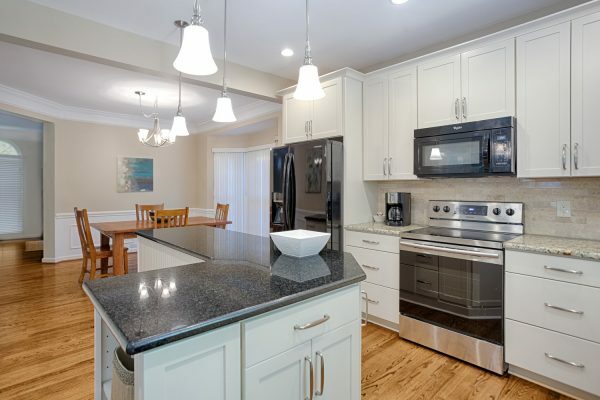 New cabinets, countertops, lighting and appliances were used, along with adjustments to the space to improve traffic and cooking flows, and better accommodate entertaining. 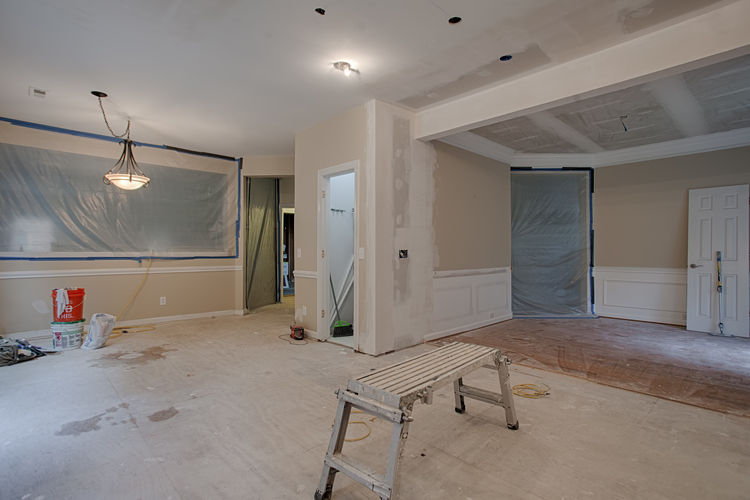 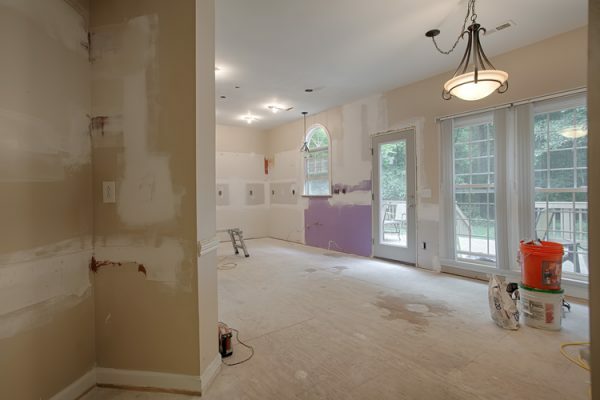 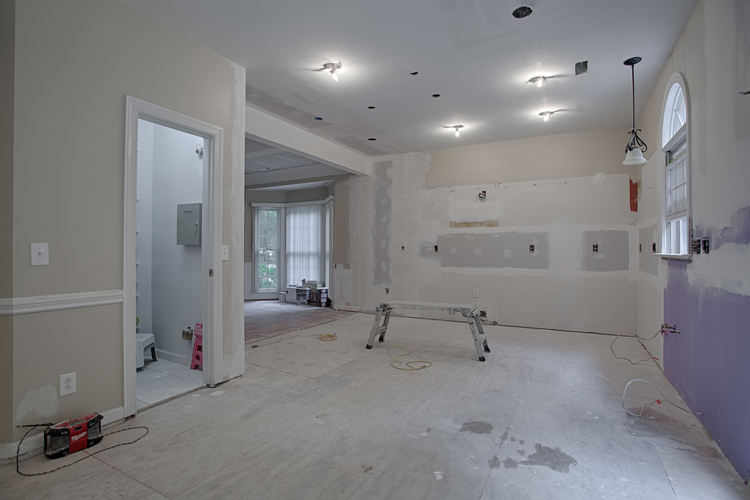 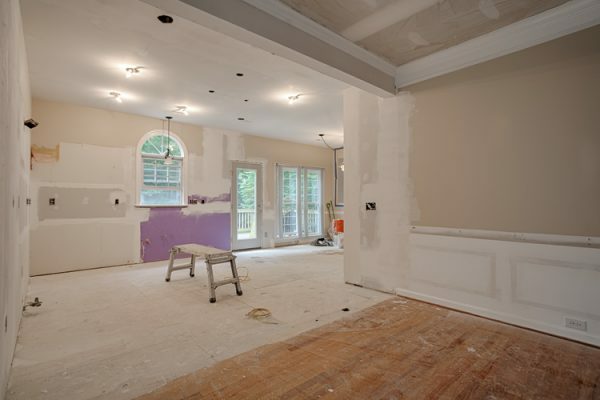 A wall was removed between the kitchen and dining room, requiring professional engineering and new structural elements. 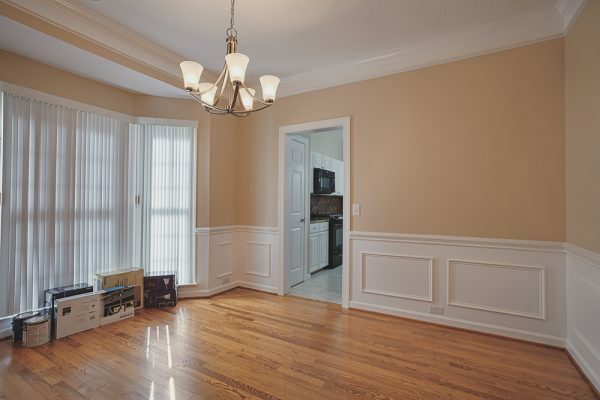 New hardwood floor has a rustic look that matches the overall feel. 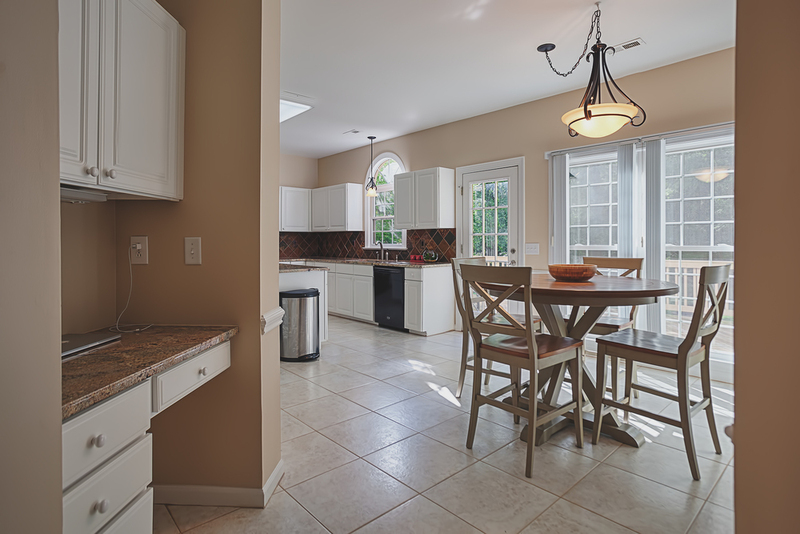 Earth-toned backsplash tile helps blend the darker hardwood floor with lighter wall colors and cabinets. A blend of hanging task light fixture and recessed lighting balances form and function. 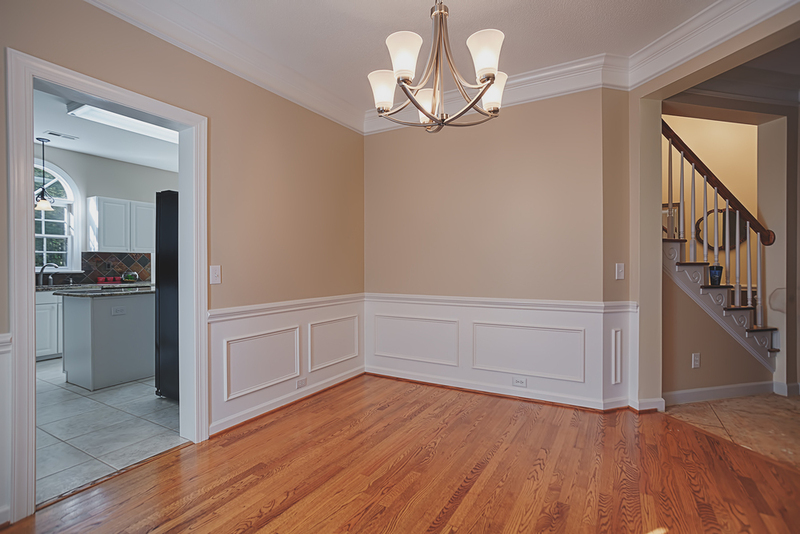 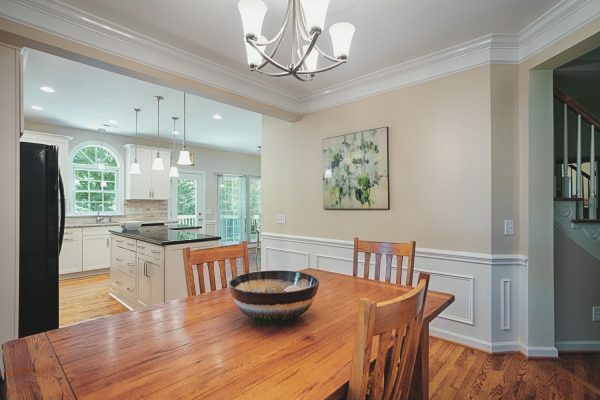 Wainscoting helps reinforce the modern country-kitchen feel.